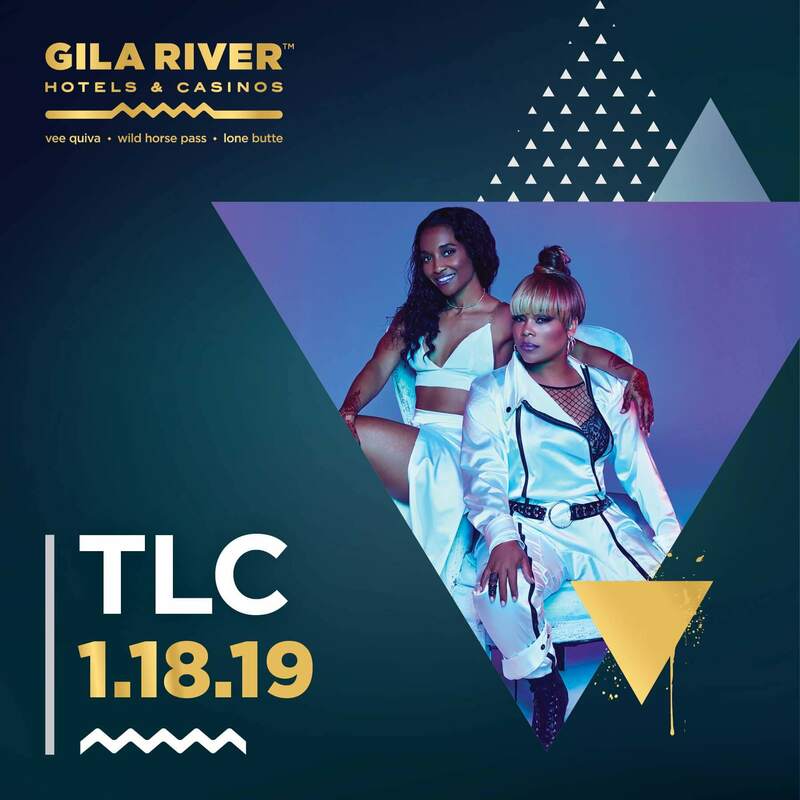 TLC will be at the Wild Horse Pass Showroom on Friday, January 18th! Those characters merely hint at the talent of Tionne “T-Boz” Watkins, Rozonda “Chilli” Thomas, and the late Lisa “Left Eye” Lopes, but they immediately evoke an unparalleled journey nonetheless. That journey encompasses immortal anthems such as “Waterfalls,” “Creep,” “No Scrubs,” and “Unpretty,” to name a few, as well as sales of 70 million records worldwide, four GRAMMY® Awards, two RIAA diamond-certified albums among a total of four multiplatinum albums, ten Top 10 singles, and four Number 1 singles. Meanwhile, the VH1 original film CrazySexyCool: The TLC Story chronicled their rise and broke records as the highest-rated television film premiere of 2013 and the highest-rated original premiere on the network between consistent touring.